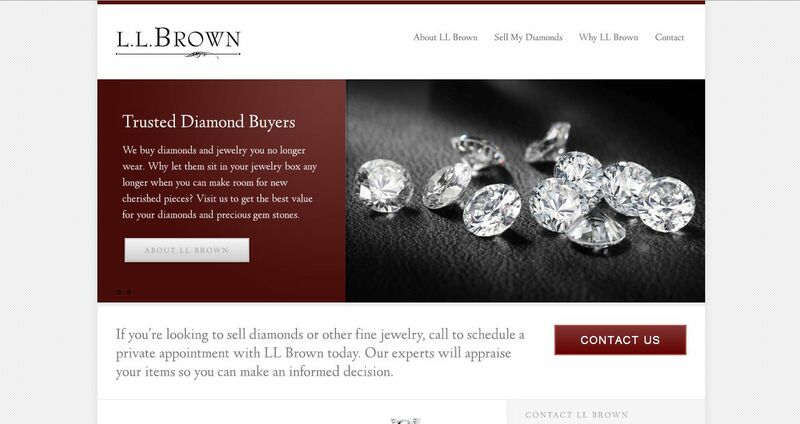 LL Brown address, phone, website, hours of operation, and more. LL Brown Company, Inc. has been a trusted diamond buyer San Francisco depends on for more than 30 years. After decades in the fine jewelry business, we have the expertise you need to correctly appraise your diamond. LL Brown makes it easy to get the most amount for your precious jewels, and our discreet appointment-based service means you get the personal, one-on-one attention you deserve. Known for our expertise, courteous and discreet service, we specialize in assessing and purchasing diamonds and other fine jewelry. Rest assured that you’ll always get the best value for your precious items when you are ready to part with them. Selling treasured pieces such as family heirlooms or items from lost loved ones can be emotional, so we provide private, personalized appointments to ensure you feel completely comfortable and at ease during the process. We take our responsibility to our customers seriously—you can depend on our integrity, price accuracy and quality of service.